I know this. It is scattered all over the world. There’s one in Okinawa. There’s one I found by Watts Tower in LA. And the last I saw was in Ronald Reagan Presidential Museum. You find messages in the most unexpected places. A good lesson to keep our eyes open and be receptive to new things, Bebs. This was my first visit to this trail but now we’ll be back. 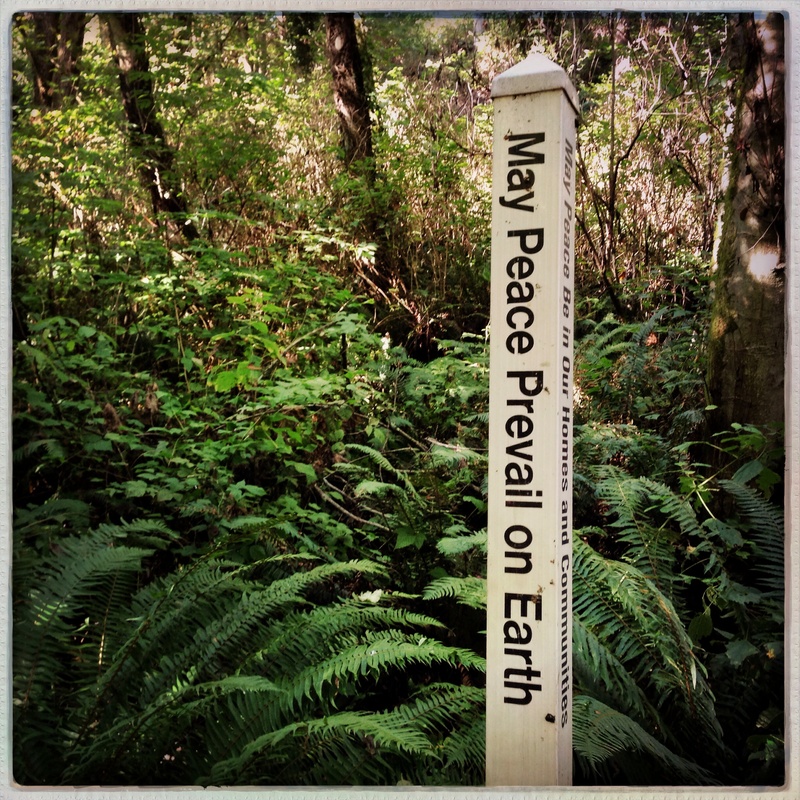 We saw this pole just a few miles north of us on a hike out to Meadowdale beach, Perpetua. It was pretty secure in the ground but I could see a more urban setting being tempting to the wrong sort… Through the peacepoleproject.org though there are desktop sizes and smaller accessories though that I’m thinking about for gifts. Oh desk tops would be ideal. That would be great for Christmas. Thank you, Lisa. I’ve never seen one of these. Now I’ll be looking. And I’ll be going to peacepoleproject.org to check it out. Thanks. You’re so welcome, Angeline. I hope you find a pole in your area too! I’ve never seen one of these, either! Thanks for spreading the word!